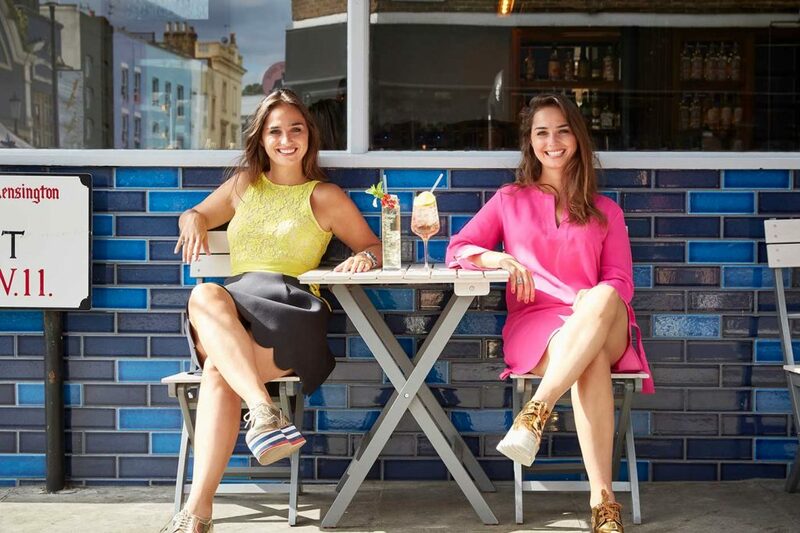 In today’s blog post we interview London-based twin sisters Raissa and Joyce De Haas from Doubledutchdrinks. What kind of business do you run? When did you start it and where is it based? We run a drinks company called Double Dutch which offers a range of innovative premium mixers and tonic waters. The first batch was produced in February 2015 and we’re based in London. Tell us a little bit about yourselves and your background. We are twin sisters born in the Netherlands. We moved to Belgium when we were kids and the house where we grew up had a small wholesale wine & spirit shop. It was just a hobby for our parents — they kept the store for themselves and friends. As a result, we grew up with loads of different spirits and built a passion for high-quality drinks from an early age. We subsequently developed a curiosity and a good taste for wines and spirits! When we were 18 we studied Finance and Business Administration at the University of Antwerp. During our years at university we used to drink mainly gin or vodka but found the tonics which were available quite boring and often very overpowering in the drink. We decided to make a deal with our friends and every Sunday they used to bring different gins, vodkas or tequilas to our flat and we’d make the different and interesting mixers. That was very primitive at first! We made syrups with fresh fruits by heating them up with sugar and mixed with good quality sparkling water. After our Masters in Finance in Antwerp, we both started working in banking – Joyce at a large corporation and Raissa at a smaller wealth management bank but soon realised that this wasn’t really for us! We wanted to be able to apply our talents to something more creative. We decided to do a second master’s that was more practical. We always felt like moving to London and as University College London (UCL) is known for its entrepreneurship program, we applied and were both accepted there. Our course focused on starting a startup in the tech space and we used the syrups we had made during our undergraduate course as the starting point for our thesis. We researched the market for the entire year and looked at the discrepancy in the beverage market. Whereas spirits are becoming more experimental with a big trend in premiumization and the craft movement, the choice of mixers are still limited. We conducted market research with bartenders, mixologists and consumers and at the end of this Double Dutch Drinks were born. This was in September 2014 we received the prize for most promising startup (the first non-tech startup that was awarded this) and we received an initial UCL cash investment. We used that money to produce our first batch and build a network of our first customers. Feedback was positive from the beginning and within 3 months we had clients like Harvey Nichols, The Dorchester and Novikov. Being Dutch we’ve always enjoyed a good qualitative drink! The country has such a great history of gin and other spirits and we’ve always been quite frustrated by the fact that the mixer market wasn’t as experimental. This is why we decided to start experimenting and making our syrups and sodas, testing them on friends and family at house parties. Over time making our own mixers became a passion and we became more reluctant to use any low-quality mixers with the premium craft spirits we were drinking! When we began to develop Double Dutch, we came across a technique of flavour pairing which was really the turning point in the process. We found that we wanted to experiment with different flavours and ingredients but didn’t want to be limited to what the industry had already done. We felt we needed to come up with innovative mixers and flavours and that’s how we created our first products: Cucumber & Watermelon and Pomegranate & Basil. What is your daily routine of running your business? 11am – 5pm: Meetings and calls. This can be anything from meeting customers, spirit partners to seeing our investors. It’s important to be at the accounts and understand how things are happening on the ground. 5pm-10pm or 11pm depending on work load: Emailing & Catching up. We usually have events or dinners at least once a week. Joyce looks after everything that has to do with operations and finances: logistics, warehousing, production, invoicing, payments and Raissa is responsible for the rest; mainly sales, marketing, employment and communications. As we expand the business to other countries, we travel often to have meetings with distributors and check new markets. What are the best and worst parts of running your business? Best part of running your own business is the excitement to see it grow every day. It gives us great satisfaction to work on something that we can call our own. It’s also amazing to have the chance to innovate and create your own mark in a market. Are there any blogs, podcasts or Facebook Groups about entrepreneurship you follow closely? We like watching TED Talks and we keep an eye at Fast Company and Inc. Magazine. Which resources to run your business do you use most? I love XERO for accounting, receipt bank is great as you don’t need to keep receipts any more. And we used LinkedIn a lot in the beginning to get all our investors. What keeps you motivated to keep working on your business? What would you recommend new entrepreneurs? How to get started? We think it is important to launch your product as soon as you have something, even if it is not perfect yet. It’s a lot better to get feedback while testing products in the market as you will learn a lot faster what your customers actually want. Who do you think is the most accomplished entrepreneur you’ve met? Josh, Ariel and Perry (all under 25) started the brand after they come back from travelling Asia where they’ve seen the damaging effects plastic had on the ocean. Determined to change that, they created a product that appeals to a younger audience and makes ‘recycling’ more trendy and attractive through a simplistic and stylish design of the can. We’re three close friends who grew up in the same town. With over a decade of experience in branding and graphic design, Perry decided to apply his skills to his new venture. 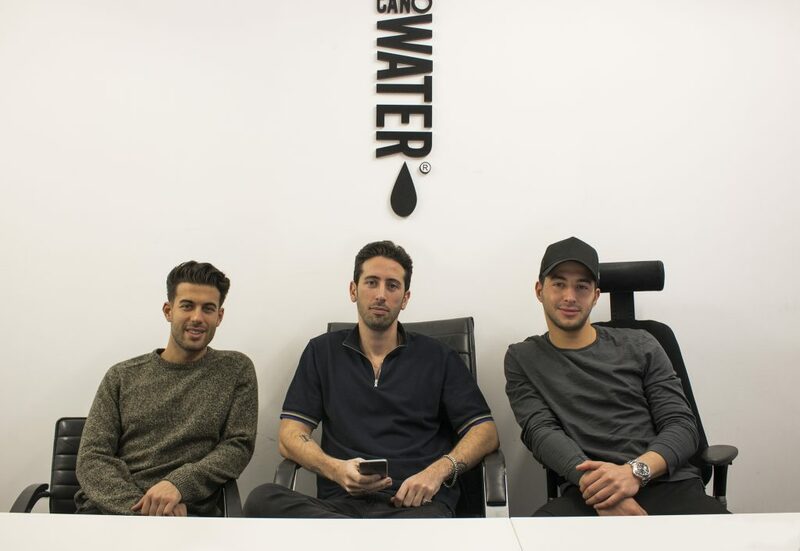 With the vision of creating a product that has an impact visually as well as functionally for the environment, Perry teamed up with his good friends Ariel and Josh to help further develop the idea and launch CanO Water. Ariel has a background in the city where he was a headhunter scouting programmers and quant researchers for hedge funds and banks globally. After helping to bring the concept to life, he left his job to focus full time on CanO Water as he saw a gap in the market and was keen to educate people on the benefits of using aluminum vs plastic. Josh’s background lies in the events and nightlife industry, with experience in marketing and having previously run a successful events company, Josh saw a perfect fit within the vision of CanO Water and his passion for the healthy lifestyle. Plastic is increasingly being recognised to be bad for your health and for the environment. We saw a gap in the market for a new innovative product to become the alternative to single-use plastic bottles. We wanted to create something with a purpose and not just another brand that slipped into an already saturated market. Aluminium is the most recyclable material on the planet and more sustainable alternative to plastic. The hardest thing is learning everything yourself and having to build something that doesn’t exist yet. Hitting targets and goals is what makes the hard part worth it. Seeing your brand grow is an amazing feeling. We put a big focus on social media channels from LinkedIn, to Twitter, Facebook, Instagram and Snapchat. For more business purposes we use Xero. Each platform has a different purpose and we manage it differently. For instance, on Snapchat we will create a unique video content and release behind the scene footage. Facebook is more of an advertising platform whereas Instagram is a tool that we use to post our creative content. Staying on top of the ever-changing social media landscape is an immense task but we know that is also the one worth investing the time and effort in. We do not see ourselves as another water on the shelf but more as a solution to a huge environmental problem. We nurture people by educating them through social media, events and POS material. What would you recommend new entrepreneurs? Just go ahead and start! Create a full strategy of what it is and who you are marketing it to. However be prepared for a difficult journey, for these ups and downs but trust us, it’s worth it! To learn more about CanO Water please visit Canowater.com. In today’s blog post we feature London based Alex and Jack from Dash Water who offer fruit and vegetable infused sparkling water. 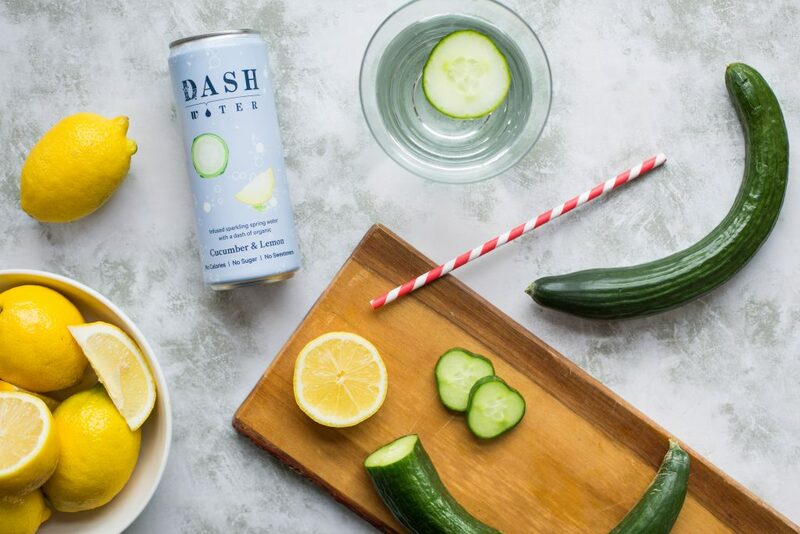 Dash Water is British sparkling spring water infused with organic and wonky fruit and vegetables to add a subtle dash of flavour. Dash contains no calories, no sugar, no additives – nothing but all natural ingredients. Jack & I launched Dash this month and are based in South West London. Alex: I’ve always had a passion for food & drink. I’ve got a background in cooking as well as wine which I’ve been involved with since a young age. My first real job was in the wine department at Fortnum & Mason, not a bad place to cut my teeth in the industry! 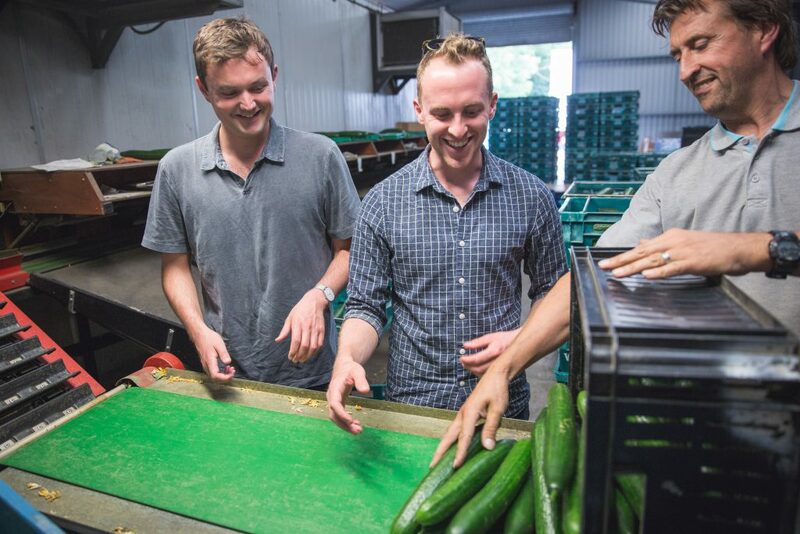 Jack: I come from an arable farm in Shropshire, I believe the close proximity to the crops and being on the farm when I was growing up has driven my curiosity around what we eat and drink and why we do it. I currently live in West London and have always wanted to create my own brand, and hopefully one day we can grow some of the fruit and vegetables for Dash at Home in Shropshire! Our daily routes are really varied as we’re on the road meeting our customers and letting people know about the good stuff that is Water. I could never work in a conventional office, getting on the tube each day, so it suits me perfectly zipping around London introducing people to our delicious flavours. It’s great seeing people enjoy something you’ve created, each time I see someone pick a can of Dash off the shelves I get a buzz. I also love being really hands on with the business, learning all the aspects of running it from the brand creation to the financial side. The toughest part is the potential setbacks that can happen, especially with production. Our infusion process of using whole ingredients to infuse Spring Water is unique and we’ve spent a lot of time developing the technique with a few complications along the way – it’s definitely been worth persevering with though! Starting up is easy if you’re backing something you truly believe in. For us it was all about encouraging people to drink more water. From the off we did a lot of product testing by popping up a table in the park with our infusions and asking passersby what they thought, from their feedback it gave us confidence to get going. When we perfected our infusion we then pitched it to Virgin Startup who backed us and have been extremely supportive through their fantastic initiatives. Any books about entrepreneurship you can recommend? I’m currently reading Mission by Michael Hayman & Nick Giles who founded the PR agency Seven Hills. They speak about connecting to the people who love your brand through a higher purpose instead of simply enjoying a product or service. For example, Uber have a higher purpose of enabling ‘transportation as reliable as running water, everywhere, for everyone’ instead of merely ‘competing to be the best taxi service’. It’s an inspiring read. Another recent favorites is Zero to One by Peter Thiel, if you read that and don’t get the urge to make an App that’ll rule the world I don’t know what will! Any cool tools or apps you can recommend? My two new favorite apps are Slack which I use to message on my phone & laptop, it’s perfect for group chats. The other is a running app called Strava, you can follow your friends and give them kudos on their runs – it’s the only thing that fueled my recent training for the London marathon! To learn more about Alex’s and Jack’s company please visit Dash-water.com.